Pustak Ka Vivaran : raashtrabhaasha prachaar samiti, vardha me sahaayak mantree aur pareeksha mantree ko unhone pooree nishtha evan yogyata ke saath 40 varsh nibhaaya aaraadhana aur apanee sahadayata ke bal par unhone sampoorn bhaarat ke kuchh any deshon ke bhee hindee seviyon, visheshatah hindee prachaarakon ke dilon me sthaan bana lene me saphalata praapt kee hai…………. 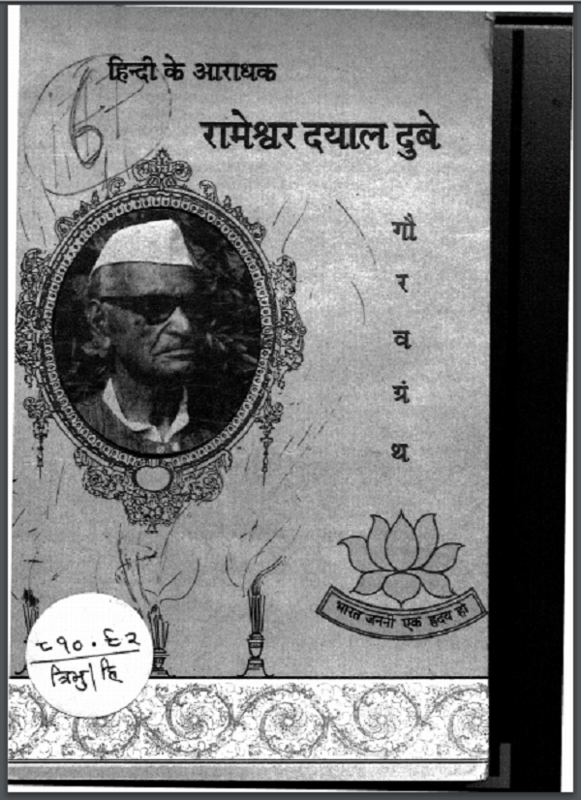 Description about eBook : With the dedication and dedication of the 40 years of National Language Promotions Committee, the Assistant Minister and the Minister of Examination in Wardha, with complete dedication and qualification, they have made a mark in the hearts of Hindi Sevaks, especially Hindi preachers, from all other countries of India. Have achieved success…………….